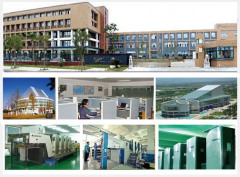 company profile of Ningbo Goodtime Industry & Trading Co., Ltd.
NINGBO GOODTIME INDUSTRY & TRADING CO., LTD. is a subsidiary which subordinate to Raymond Groupcompany. The Raymond Groupcompany formed in 1993, through several years' diversified development, it has been a strong prop to support us. We have our self--owned brand, named Ihorse. Our main business has four parts: Printed series, which including cards, bags and so on; Office supplies, which including notepad, post-it note and so on; Promotion gifts & crafts, which including very kinds of beautiful design products; Household supplies . We are experienced team with circumspect after-sale service and good business credit. Our company is accordance with the faith"Once establish the credit, we will provide the service for you forever" If you are our potential guests, we will provide high- quality-service for you, which are our business policy in service. We are looking forward to your enquiry, expecting to cooperate with your.